village in Tacloban, Leyte province. While more than 26.3 percent or about 27 million Filipinos live in poverty, the benefits from growth are concentrated in the hands of few billionaire families, the less than 1 percent who dominate the political economy. Tax injustice is imbedded in the system and unregulated corporate activities harm people and the environment. The Philippines can reduce inequality by changing the economic geography. We can reverse the big city-oriented development by supporting the provincial and local economies. We can do this by shifting from conventional, fossil fuel-intensive farming to organic and sustainable agriculture and by changing the pattern of public expenditure so that adequate resources, and authority, too, are deliberately transferred from the rich regions to the poorer ones. Signing up to the promise of a Philippines where no one is left behind and following the path to sustainability, Social Watch Philippines (SWP), along with the CSO contributors from its network, presents on Friday our "Spotlight Report" on the 2030 Development Agenda in a dialogue with the National and Economic Development Authority (NEDA) at SEAMEO-Innotech, Quezon City. This is in time for the presentation of the Philippine report to the first High Level Political Forum (HLPF) on July 11-20 at the UN Headquarters in New York. In consort with 22 other countries, the Philippines is expected to lead the national review and report on how the 2030 agenda will be translated into national sustainability plans. The civil society group noted the Philippines can achieve its sustainable development goals by 2030 if the economic growth is not concentrated in the hands of a few billionaires. Security was tight during the Papal address at the Opening Plenary of the UN Summit, so I missed these events as only a few civil society representatives could be accommodated, but certainly this was better than Addis Ababa during the 3rd Financing for Conference. The UN General Assembly formally adopted the Sustainable Development Goals (SDGs) at the opening session without further debate as the document had gone through months of debates ad revisions before Member States agreed on the final text. The Supreme Court (SC) has ordered the executive and legislative departments to answer a recent petition of anti-pork barrel advocates against the government’s spending of lump sum and discretionary funds in this year’s budget. In session yesterday, the justices decided to require the Palace and both houses of Congress to comment on the petition for certiorari and prohibition filed last Sept. 1 by Social Watch Philippines, led by former national treasurer Leonor Briones. Inquirer Photo / Grig C.
OZAMIZ CITY, Philippines—The proposed Freedom of Information (FOI) law is dead, and President Aquino and Speaker Feliciano Belmonte should share the blame for its fate. Thus declared a group of advocates who have been pushing Congress for years to enact the measure that would allow greater access to public records and help reduce corruption in government. “(W)ithout decisive support from the President and the leadership of the House of Representatives, the bill will not pass,” read the statement from the Right to Know, Right Now! Coalition which has been campaigning for the FOI bill for more than 15 years. The budget watchdog Social Watch Philippines on Friday criticized the Senate for retaining the new definition of savings in the 2015 budget that it approved, and the possibility of funding for an expense item being declared as savings at any time of the year. "Such a redefinition can perpetuate the pork barrel system and mechanisms similar to the Disbursement Acceleration Program, both of which have been declared unconstitutional by the Supreme Court," the group said in a statement. Social Watch Philippines challenged Congress to reclaim the power of the purse from the Executive at the SWP-Alternative Budget Initiative’s critique of the proposed 2015 budget at the House Committee on Appropriations CSO consultation last Wednesday, September 10, 2014. SWP-ABI also presented their alternative budget proposals for 2015 in the same meeting. SWP Lead Convenor Prof. Emeritus Leonor Magtolis Briones presented with a summary of the organization’s analysis of the 2015 proposed budget. She focusing on salient issues Congress faces with the current public finance system, such as congressional scrutiny, debt servicing and stark disparities in regional allocations of the budget. In the last month or so, the Philippines has received overwhelming sympathy and support from the rest of the world. These are through kind words, prayers and donations meant for the survivors of super typhoon Yolanda. The numbers are online, the Budget Department says. Anybody can easily go to www.faith.gov.ph—the Foreign Aid Transparency Hub. Aggregate amounts are posted on the right side of the site, broken down into cash and non-cash donations. Three days into the first month since super Typhoon Yolanda flattened many parts of central Philippines, media groups, netizens, and disaster risk reduction advocates come together to talk on steps to ensure that the funds and goods donated for Yolanda victims will be accounted for and will match of the needs of about 11 million people it affected. More than tracking where foreign aid goes as the country continues to recover from Typhoon Yolanda (Haiyan), citizens need to keep an eye on how government’s calamity funds are spent, Dr. Leonor Briones, lead convenor of Social Watch Philippines advised civil society organizations on December 4th. Social Watch Philippines (SWP), Silliman University in Negros Oriental and Mindanao State University (MSU) in the Autonomous Region of Muslim Mindanao (ARMM) launched the People’s Public Finance Institute (PPFI), which is the first-ever center on teaching citizens to learn and be actively involved in public finance in the Philippines. “As part of Social Watch Philippines’ commitment to asserting social development for people’s rights and empowerment, we are setting up PPFI centers in various State Colleges and Universities (SUCs) all over the country,” said former national treasurer and SWP lead convenor Leonor Magtolis Briones.“Through the Institute, SWP and SUCs will educate the general public, civil society organizations (CSOs) and interested local government officials on national and local public finance working under the framework of citizens’ participation,” she added. In the Philippines, Social Watch Philippines monitors the MDG programs as implemented by the government. Its main advocacy is more government spending for health, education, agriculture, the environment, and for social protection for all. 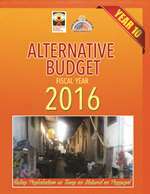 It has organized the Alternative Budget Initiative (ABI) which proposes alternative budgets for these MDG-related expenditures. “The abolition of the pork barrel system should be total” said Leonor Briones, lead convenor Social Watch Philippines, to a Congressional committee in Manila, bringing to legislators the message that hundreds of thousands of people had reaffirmed in the streets during marches against corruption in the previous days. “Pork barrel” is the popular name of a system that allows members of parliament the direct allocation of budget funds to pet projects in their constituencies. Some “pork barrel amount to the equivalent of four million dollars a year. The president himself manages a “pork barrel fund” of some 500 million dollars and several items of the Special Purpose Funds (SPF) in the national budget for 2014. “SPFs breed corruption. How can Congress scrutinize the SPF when there is no detail? It is just one chart in the budget documents and one line in the summary papers,” SWP said Briones. "Citizen monitoring and accountability of governments, corporations and international institutions are essential for a new development agenda to succeed". Roberto Bissio, Coordinator of Social Watch, shares his reflections on the Social Watch Philippines' National Consultation on the High Level Report on the Post 2015 Agenda. This year Social Watch Philippines and the Alternative Budget Initiative or ABI will particularly scrutinize the Priority Development Assistance Fund or “pork barrel” and the transfers and allocations for the government’s Special Purpose Funds. Department allocations will also be assessed by the Initiative, particularly the allocations for health, education, agriculture, social welfare and the environment. It’s that time of the year again when Congress debates and finalizes the National Budget for 2014. Budget hearings, pork barrels, agency allocations and special purpose funds will be, or should be, buzzwords in media for the next few months. The 2014 Budget: What’s in it for the Youth? After President Noynoy Aquino’s State of the Nation Address (SONA) on Monday, July 22, PNoy’s proposed budget for 2014 will be under scrutiny in a forum to be held at the University of the Philippines National College of Public Administration and Governance Assembly Hall. SW Coordinating Committee Co-chair, Former National Treasurer and budget expert Professor Emeritus Leonor Magtolis Briones will be the guest speaker in the forum. Entitled “#Kabataan Roadtrip: Sa’n na Tayo Nakarating, Sa’n na Tayo Papunta?”, the public forum will focus on the government’s allocations and priorities for the youth. It is primarily organized by UP Samahan Tungo sa Progresibong Administrasyon (UP STPA), a socio-academic organization of public administration students of UP NCPAG. They are partnered with Social Watch Philippines, the People’s Public Finance Institute, the Alternative Budget Initiative, PALS NCPAG and the University Student Council. The Philippines needs a post-2015 development agenda that reclaims human rights as the normative framework, especially ensuring the right to education, health and decent work, and addressing the long-standing inequalities, concludes the report 2013 of Social Watch-Philippines. Economic growth averaged 4.7 per cent a year since 2000 in this South Asian country, but only the elites harvested the benefits, while poverty increased to reach more than one of every four Filipinos, says the study. Social Watch Philippines and Alternative Budget Initiative are set to probe into President Benigno Aquino III’s proposed budget items for 2013 that are still unclear or not visible. “We have to be more vigilant as the 2.006 trillion pesos [47.74 billion US dollars] proposed 2013 appropriations is the first budget proposal to exceed the two-trillion pesos mark,” explained former national treasurer and Social Watch Philippines lead convenor Leonor Magtolis Briones. Social Watch Philippines is questioning some items in the 2013 budget submitted by the government to the Congress. The convenor of this national coalition of civil society groups, Leonor Briones, said there are lump sum appropriations called “special purpose funds”, which did not provide any breakdowns. The non governmental organization Code: Reforms for Economic Development (Code: RED) and Social Watch Philippines launched a policy monograph on transparency and accountability in local governance, after several months of workshops in six municipalities to allow grassroots groups to get more involved in local public finance. The impact of typhoons, earthquakes, climate change and other external factors make it difficult for the Philippines to reach its economic growth targets of 5 percent to 6 percent this year and 6 percent to 7 percent next year, warned Social Watch Philippines this week. “On June 12, 1898, we declared ourselves independent from the crushing heel of Spanish colonialism” but “became a colony of the United States after a bloody war that killed thousands of Filipinos,” wrote Leonor Magtolis Briones, lead convenor of Social Watch Philippines, in this column for Bussiness Mirror, a major paper in her country. Since it was set-up in 1997, Social Watch Philippines (SWP) has annually put forward a strategy of advocacy, awareness-building, monitoring, organizational development and networking. Based in Quezon City, one of the major cities in Metro Manila, the network that started with twenty seven civil society organizations and individuals has now grown to embrace more than a hundred citizens’ group, networks and individuals. “Stop making highways that lead to nowhere and waiting sheds waiting for no one” said former national treasurer and lead convenor of Social Watch in The Philippines, Prof. Leonor Briones, who advised lawmakers to align their pork barrel (goverment funds allocated to legislators for local projects) to achieve the United Nations Millennium Development Goals (MDGs) that eradicate hunger and poverty in their respective areas of jurisdiction. Social Watch Philippines released its global report last November, to coincide with the conclusion of the National Consultation on Financing for Development that was attended by civil society groups and discussed the status of the country’s programs to meet the United Nations Millennium Development Goals. The death by suicide of a twelve-year old girl from Davao due to extreme poverty has touched the collective conscience of the country. People of consequence, from the President down to bureaucrats, social anthropologists, civil society organizations, and media personalities have endeavored to explain why a child would commit suicide. Social Watch Philippines launched the Social Watch Philippines 2005 Report “Race for Survival Hurdles on the road to meeting the MDGs in 2015” and the Social Watch Annual Report 2005 “Roars and Whispers. Gender and poverty: promises vs. action” last September 8, 2005.